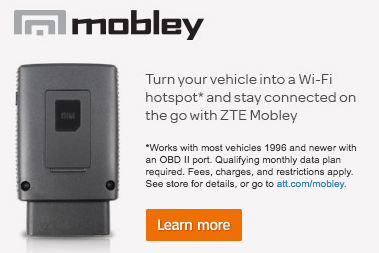 The "Mobley Plan" is the colloquial name for the sweet $20/month Unlimited Data Connected Car plan from AT&T paired with a Mobley connected car device. The connected car plan is available separately and the Mobley, when it was still in stock, could be added to other AT&T plans. 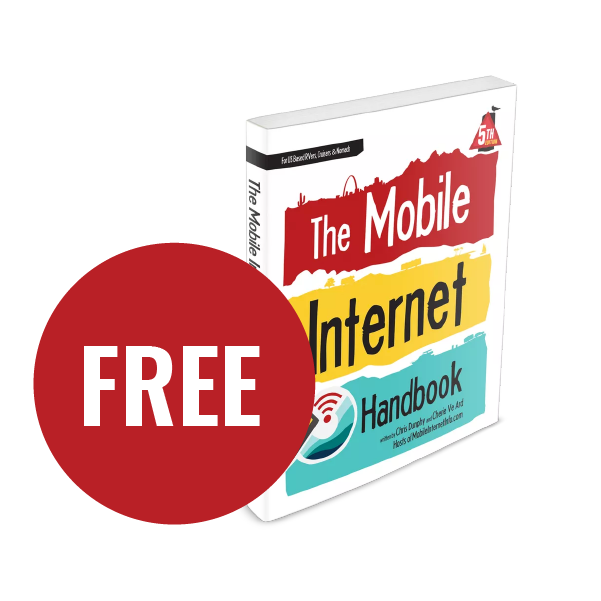 But the two combined create a powerful and inexpensive mobile internet solution that most people simply call the "Mobley Plan." 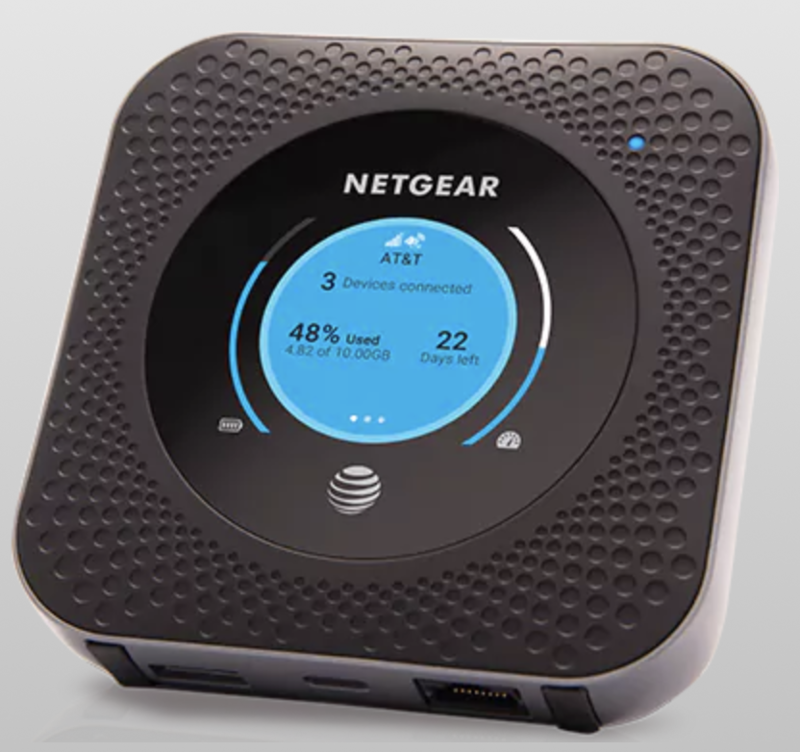 This device & plan combo was the big news of 2017 as it offered a super cheap way to obtain unlimited mobile AT&T data suitable as a home internet replacement for many RVers and cruisers. And it was available as a stand-alone option, so there was no need to carry a smartphone or other device on an AT&T account. You could just have the Mobley on the $20/month (plus taxes and fees) connected car line with no other obligations. It was a sweet deal, and those who snagged it before it retired have continued to enjoy unlimited data for a ridiculously low price. The "Mobley Plan" has been available on two separate occasions - once in 2017, and then again for a short period in early 2019. Status: The Mobley is no longer in stock at AT&T, it is unlikely to be available again in the future. Those who took advantage of obtaining the device and plan when it was available are grandfathered in. The Connected Car unlimited plan is still available from AT&T, but it is now restricted to its intended purpose of in-vehicle use and cannot be used as a simple home-internet replacement with the devices that are now eligible for it. We do still get some intermittent reports of those able to obtain a Mobley device third party who are able to walk through the activation process on the early 2019 method. However, many also encounter frustrating brick walls with the process. Here's a little background on the Connected Car Plan and the Mobley device. The Mobley is a small device designed to plug into the OBD-II port found under the dash of almost every car made since 1996. When the key is in the ignition - the Mobley comes alive, creating a Wi-Fi hotspot to get 5 devices online while the vehicle is underway. But one big advantage with the Mobley is that it could be used outside of a vehicle, unlike more modern connected-car OBD-II devices - so it wasn't restricted to in-vehicle use. In terms of technical features and performance, the Mobley itself is a very old and basic device. We consider it obsolete tech but still usable. The Mobley is, at this point in time, a very basic and dated device. But that doesn't mean it is useless. The Mobley can be tethered to some mobile routers thanks to a hidden USB port. The modem is very basic and old (you'll get slower speeds and less coverage than a better hotspot). It doesn't have antenna ports, so the only signal enhancing option is to use a pricey cellular booster. A firmware update pushed in October of 2018 restricts you to a maximum 2-hour timeout period (meaning it could fall asleep without using some workarounds). It is likely against AT&T's terms of service to move the SIM card to another more capable device. And AT&T has taken steps to make SIM swapping and using the Mobley non-stop more and more difficult. The Mobley itself is an OBD-II device. It plugs into the diagnostic port of a vehicle for power. Other similar devices provide 'OnStar' like features - like vehicle tracking, diagnostics, and more. The Mobley device, however, is dumb. It just provides a cellular hotspot connection to the vehicle. We cover the known workarounds to many of these issues later in this guide. The biggest allure of the Mobley was not the device, but the device's ability to be paired with a standalone $20/month Connected Car Unlimited (CCU) plan, which provided unlimited data without any throttling. Like most AT&T plans, the Mobley Connected Car Unlimited plan is subject to "network management" after 22GB of usage in a month, which means speeds may be slowed due to tower congestion after 22GB of use. It is a US-only plan, and will not work internationally at all. Domestic Roaming: AT&T's network has a decent sized off-carrier roaming area, with domestic data roaming limited to 100MB per month. If you exceed that, your data access may be shut down until you are back on AT&T native towers. AT&T also states that domestic roaming may be throttled to 2G speeds at all times. Streaming: No packaged services. AT&T Stream Saver is automatically turned on when an account is created, but it can be turned off by the customer. More on Stream Saver is included later in this guide. AT&T's Connected Car Mobley $20/month Plan has been around since 2017 - and we've spent countless hours tracking and testing it since then. The plan has been poked and prodded with a few changes by AT&T since its initial offering. The plan is extremely popular with our nomadic data seeking crowd. Initially, the Unlimited Connected Car Mobley plan required customers to also have an unlimited smartphone line with AT&T as well as be a DirecTV subscriber. 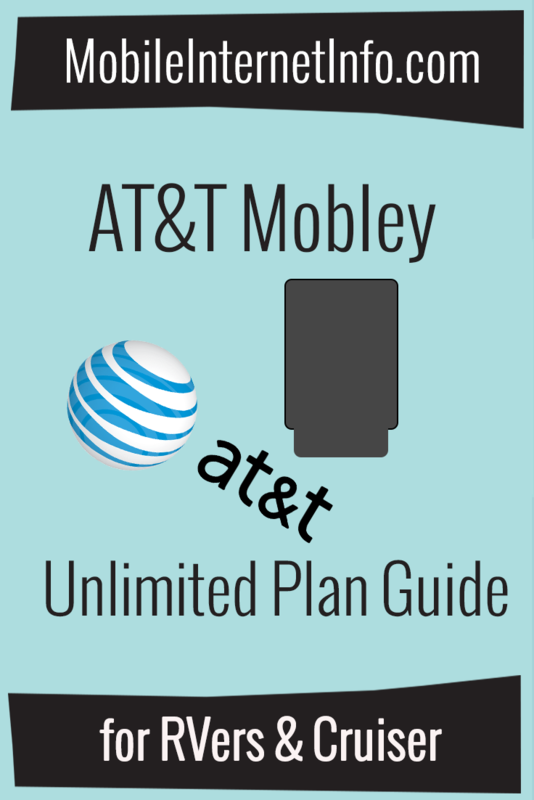 In early 2017, however, AT&T dropped both those requirements in a special limited-time promotion and the Mobley Plan was became available as an independent plan for $40/month. But the price soon changed to $20/month to match a different offer for Chevy vehicles - and it's been $20/month (plus taxes and fees) ever since. The initial offer was scheduled to expire in July 2017, but the plan remained available after that if you could find a device in stock. Also in July 2017, AT&T applied its then-new Stream Saver feature to the plan, which throttled video to 480p unless switched off by the customer. This change was, at first, quite confusing and poorly implemented with no easy way to turn Stream Saver off. Fortunately, Stream Saver can now be easily turned on and off on the AT&T app or website. For all the details of the original problems and workarounds, see our original Stream Saver article. Instructions for turning Stream Saver off, as well as additional details, are in another section of this guide as well as our original instructional article. In mid-September 2017 we began to receive reports that AT&T reps were telling folks the plan expired. 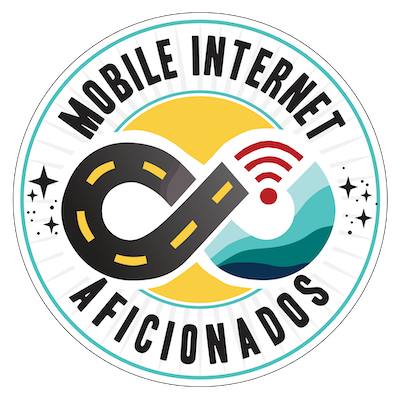 While activations still sporadically occurred after the September retirement, by mid-December 2017 it was no longer possible to activate a Mobley on the unlimited connected car plan. AT&T removed the fine print from the Mobley device page that included the $20/month Connected Car plan as a data plan option. Officially, it seemed that aftermarket devices like the Mobley could no longer be activated stand-alone on the $20/month unlimited data plan, which was now reserved for vehicles with built-in cellular capabilities. By December of 2017, we considered the Mobley Plan officially retired. The fantastically cheap Mobley Plan was gone. Done. Over. Kaput. Existing customers were grandfathered in and continued to enjoy cheap unlimited data for as long as they continued to pay their bill. 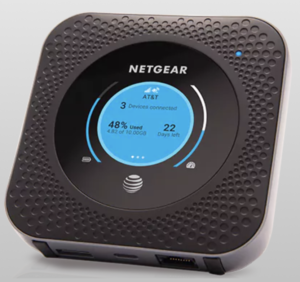 The unlimited connected car plan remained available, but only for built-in connected cars and, eventually, AT&T's new OBD-II device, the Spark. Things were quiet on the Mobley front for almost a year. Then, in early October of 2018 AT&T started to push a mandatory firmware update to all Mobley devices. The update locked SIM cards by PIN code to the Mobley device. For those that had grown to depend on the Mobley for 24/7 unlimited internet access, this update was frustrating. These changes continue to affect Mobley users, but there are workarounds covered later in this guide. Removing the "no time out" option from the Mobley web interface meant that the Mobley would now, by default, shut down after 30 minutes of "parked" usage, and the most you could extend this period to was two hours. However, this change only affected the web administrative interface and, for many users, as long as you don't change the setting in the web interface, or reset the device, the old "no time out" option persists. We've got some possible work-arounds, and further discussion of the Time-Out situation later in this guide. The other change saw AT&T Mobley owners getting "SIM PIN Locked" alerts when they have tried to use a Mobley Connected Car SIM card in an alternative device (not a Mobley) - such a Unite Explore or Netgear Nighthawk. With the SIM locked and the PIN unknown, the other devices would not connect. Moving the SIM back to the Mobley restored service without a PIN. We quickly developed a workaround. More details on this workaround are shared in the PUK Codes section of this guide. We haven't seen official word from AT&T on the reason for this update, which came from AT&T and not the device manufacturer, ZTE. We suspect the change was related to the launch of the AT&T Spark a week prior - a similar OBD-II powered connectivity device to the Mobley, but with integrated telematics features for vehicle management and tracking. We suspect that this Mobley firmware update was designed to make the Mobley limited in ways that better match the Spark, but without a word from AT&T it is impossible to know for sure. Just before the 2018 year-end holidays, we started hearing rumors of a UConnect e-mail campaign circulating to owners of some Chrysler, Jeep, and Ram vehicles with an offer to activate a Mobley with an unlimited data plan for $20/month - for a limited time. Thanks to one of our premium members (MIA) who received the offer and shared it with us during that time, we were able to confirm it was a legitimate offer and shared it with our members - the Mobley Plan was back! Many of our MIA members were then able to successfully obtain it. With no reports of the offer having expired, we also released the story to the public. But this time around, it was not as straightforward to obtain as the initial 2017 run. The UConnect deal was not on AT&T's website anywhere - it was a limited-time promotion targeted to a specific audience that could only be accessed by calling specific phone numbers. The activation process was also very challenging to navigate, but persistent customers could snag the plan we thought was long gone. The promotion lasted until mid-February 2019 when the supply of Mobley's went out of stock. There is some remaining speculation that if you have a Mobley device already, you may be able to work your way through getting it activated on the $20/month CCU plan - but reports of successful activations have been rare. 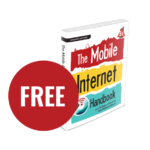 Over the years of the Mobley being out, there has been a lot of information discovered and shared for successfully using the Mobley Plan as a home internet replacement. This section focuses on some of the advice we've collected. Many RVs, and all boats, lack an accessible OBD-II port - and even if you have one, who wants internet that only works while the engine is running? But - there is a way around this that provides power to the Mobley anywhere! Because the Mobley is a dumb device it cannot tell when it is actually plugged into a vehicle. More modern devices, by contrast, have security features that prevent the device from being used when not in an actual vehicle. Some will even lock the device to specific vehicles. 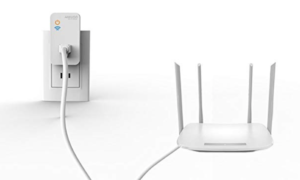 The Mobley, however, will run just fine using a power adapter - making it a great option for an 'always on' connection anywhere you have AT&T signal. Adapters are available for purchase (or, if you're comfortable, you can hack together an adapter on your own for a few bucks), and come with different power options. You can find AC, 12v and even USB powered ones on eBay & Amazon (just search 'Mobley adapter') - making it easy to keep a Mobley powered anywhere there's power available. We've even seen some folks hack together an external battery (video link) for the Mobley allowing it to be used anywhere. For those who utilize the Mobley device regularly outside of a turned on vehicle, the two hour max time limit pushed by the VM6200V1.0.3 firmware update is highly annoying. This means customers will need to power cycle the Mobley every time it shuts itself off. Using this method with a timer that supports power cycling every hour or two could help minimize downtime when using a Mobley. We haven't personally tried either of these - and we are eager to hear of other favorite alternatives - but we've had one report that the infinite cycle timer works well for resetting the Mobley. One device, sold on Ebay, claims to bypass the timeout using variable voltage. We have not tested this device but one of our MIA members (thank you!) bought the device and reports that it does (forum link) keep the Mobley powered. Alternatively, there is some evidence that the Mobley might actually have an accelerometer inside of it, and can detect physical motion. If so - that might be harder to spoof. Way back when the Mobley was first launched, some people reported that flipping it over on its back would actually trigger extended run times without a power-save shutdown. We've since had several reports that just moving it every so often keeps it active. Some have even taken to hanging their Mobley by a wire or string to always have a touch of motion. Those on boats (which are always in motion, even while docked) seem to have fewer timeout issues. There's some speculation that the Mobley starts it's 2-hour time out when it detects power from the vehicle has stopped, reducing the voltage. Constructing or purchasing power adapters that maintain a higher voltage may prevent the Mobley from starting the 2-hour time out. We have been testing an unusual method that may restore the "no time out" option for the device, but we don't yet have a confirmed solution that consistently works. Our members can follow our forum thread for updates. And of course, using the SIM card in a device that doesn't have a 2-hour time-out is an option - at least for now. The next section covers this option in detail. The Mobley is no longer available from AT&T or ZTE as a new device - it was discontinued. Which means what happens when your Mobley quits working, is damaged or lost? This plan does require use in an eligible device, which is a Connected Car Device. At present time, AT&T is not enforcing their SIM swapping policy - so using your SIM card in a AT&T compatible device is an option. But if AT&T ever does crack down on the terms of service, and you don't have a Mobley to put your SIM card back into - you could risk losing the plan. If you contact AT&T's regular support, you're likely to be offered to purchase a regular hotspot device to replace your Mobley. Remember, most representatives are not familiar with these Connected Car plans. Thus far, all reports of folks trying this have resulted in having their plans changed when trying to officially replace the Mobley with a hotspot. There are no currently available unlimited data plans for hotspot devices to switch to, which leaves just expensive tiered data plans. So we don't recommend allowing AT&T to attempt to replace your Mobley with a hotspot device. You may also be offered an upgrade to the Harman Spark, the currently available Connected Car ODB device - which does have a $30/month unlimited data plan available. However, the device does NOT work outside of the ODB-11 port or in a vehicle that is not in motion. We don't consider this an appropriate upgrade for most using a Mobley as a home internet replacement. Right now, the only option to replace a malfunctioning or missing Mobley is to acquire one third party on sites like eBay. Because of the scarcity of the device and how unique this plan is, expect to pay a premium for this above the original cost you paid. Those who originally took out two year contracts on the Mobley when they signed up for the plan start coming out of contract in early 2019. When this happens, AT&T's online system starts offering upgrade eligibility. If you log into your AT&T account and follow their prompts, you may find your way to being offered AT&T's current mobile hotspots as an upgrade. While there was a loophole for a while where this was possible, current reports seems to indicate that actually activating the 'upgraded' device forces a plan switch to an eligible compatible plan. Unless we hear otherwise, we do NOT recommend attempting to 'upgrade' a Mobley through AT&T. When AT&T launched the Mobley plan, the only terms of service about device eligibility was "qualified devices & vehicles." What constitutes a qualifying device has thus far not been specifically defined by AT&T. AT&T customer service reps regularly tell customers that a qualifying device includes any data only device - such as other mobile hotspots. These reps have actively encouraged customers to move the SIM card into these more capable devices. 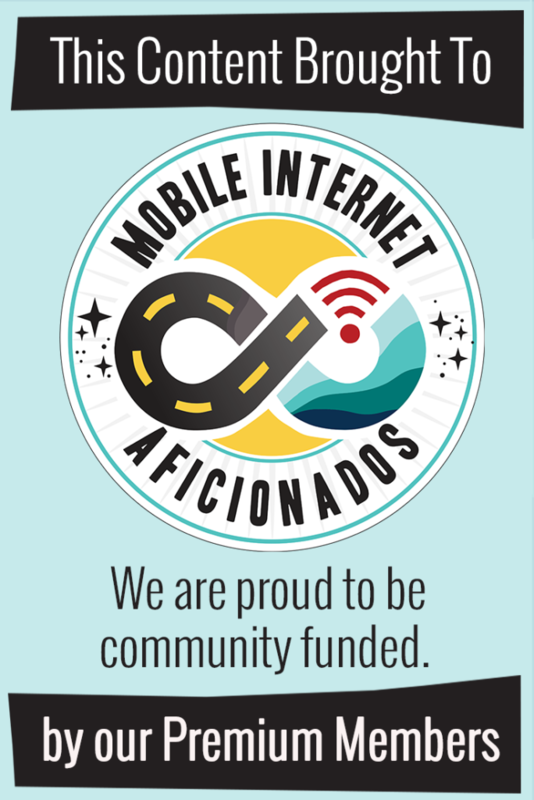 In our research, we found that the Mobley is internally classified as a connected car device, while hotspots are classified as LTE Laptop devices. This difference in classification gives AT&T room to define "qualifying devices" as limited to Connected Car devices. AT&T can detect if the SIM card is moved into any other device, so they know what type of device the SIM is in. Customers should be aware, however, that AT&T could change its present policy in the future and begin blocking network access unless the SIM is returned to the Mobley or another qualified Connected Car device. Theoretically, AT&T could even use SIM swapping as an excuse to cancel these plans - though we have never seen AT&T take an action like that. 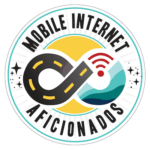 MIA members can keep up to date on Mobley SIM usage in other devices in our forum thread: ATTN Mobley/Connected Car: Use in Other Devices? The same firmware update that caused Mobley timeout issues also set a SIM lock PIN code automatically. 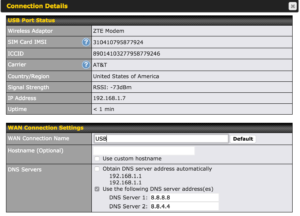 AT&T Mobley owners have reported "SIM PIN Locked" alerts when they have tried to use a Mobley Connected Car SIM card in other devices - such as a Unite Explore or Netgear Nighthawk. With the SIM locked with an unknown PIN, other devices will not connect and users will have no data. Moving the SIM back to the Mobley restores service without a PIN. This happens if you place or have your SIM card in the Mobley after the 1.0.3 firmware update. For those who have had a Mobley SIM in another device since before that update (which was rolled out in August 2018), the SIM card will continue to work just fine. However, if you ever place it back in the Mobley, the SIM will get PIN locked. What is a PIN Lock? AT&T allows you to set a PIN code to your SIM card. This helps prevent someone from taking your SIM card and using it on other devices without knowing the PIN code. With the 1.0.3 update, the Mobley firmware sets the PIN code to a random number and doesn't tell you what that number is. This prevents you from using your Mobley SIM card in other devices because you don't know the correct PIN to unlock it. There is no way to see or change this SIM unlock code from within the Mobley's dashboard or the My AT&T account manager. But if you move the SIM card to another device, you can reset a locked SIM - if you have a PUK code. PUK stands for PIN Unlock Key. PUK codes are hard encoded to your SIM card and act as a master reset code for your SIM card. It will let you reset a SIM PIN after you have failed to enter the correct password too many times. The PUK is unique to your SIM card - and you need to get AT&T support to give it to you. From the dashboard of the Netgear Nighthawk after failing entering a PIN 4 times. Asking for the PUK. Call or chat AT&T support. Tell them that you have a SIM lock issue, and ask for the PUK code. Your SIM card does NOT need to be in your Mobley to do this. They should give you a PUK 1 and PUK 2 code once you verify you own the account. This may involve them sending you a PIN code via e-mail or text. This PIN is NOT your SIM PIN code - but an account two factor authentication to verify who you are. Save the PUK 1 and PUK 2 codes somewhere safe. Put your Mobley SIM in a device where it is showing a SIM lock prompt for a PIN code, and guess the PIN four times - this will trigger the SIM lock. You should now be prompted for a PUK code - enter PUK 1, and then choose and set a new SIM PIN. You can now use your SIM again in other devices, but you will have to enter the PIN you created each time you install it (but at least you know what the PIN is). Or - you can use your SIM PIN to disable the lock entirely on devices that have that feature. If you put the SIM back into a Mobley, your chosen PIN code may be overwritten again, putting you back to square one. This doesn't happen consistently, and after a few days of swapping our SIM, the Mobley stopped resetting our PIN, but it might happen which is why you need to keep the PUK codes handy. Fortunately, the PUK codes you have written down should continue to work and you can follow the same procedure above to create a new PIN. Keep PUK 2 as a backup in case PUK 1 ever fails to work. 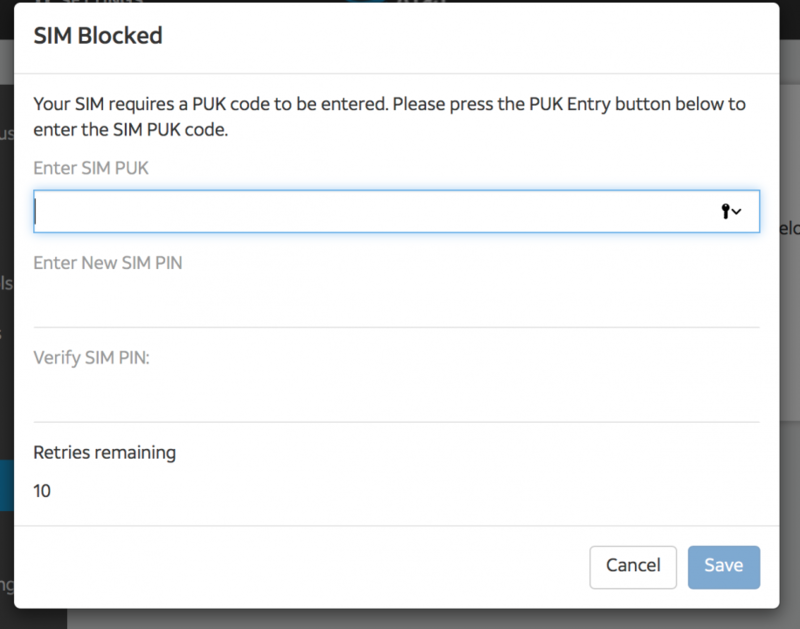 If you enter an incorrect PUK code too many times (10) your SIM will be permanently locked and will need to be replaced. Remember that the PUK code is unique to your SIM, you can't use anyone else's number. So if you get a new SIM, you'll need to contact AT&T to get the SIM's PUK codes. It's possible AT&T may eventually tell their reps to stop giving out PUK codes for Mobley Connected Car plans, so don't let your SIM get locked until you have the PUK code in hand. And even if you don't need it now, get your PUK codes ASAP. Your SIM will only get locked if the SIM is put in a Mobley. If you've had your SIM in another device since the firmware update, then your SIM is probably fine for now. But getting the PUK buys you some insurance in case you are ever forced to put the SIM in a Mobley for some other reason. It should be very clear that this move is intended to crack down on Mobley Connected Car plans, and this may only be the first step. Have your backup plans ready to go. If your Mobley ever dies, you may have to move your SIM to another device just to use your plan - as obtaining a replacement Mobley is getting more and more difficult. And even still - AT&T could someday block the PUK code from working, or may take other steps to limit the Mobley Connected Car plan to use only inside a Mobley should they further define what a 'qualifying' device is on these plans. We highly advise keeping a working Mobley on standby should they ever do that, and Mobleys are getting hard to find since they are probably no longer made. Stream Saver is AT&T's optional data-saving feature that works by throttling video content. New lines typically come with Stream Saver enabled. Stream Saver works by detecting video streams and then throttling the speed of the video connection to limit the resolution to roughly 480p (SD resolution) video. Most video sites respond to the slower connection by automatically scaling back the video resolution. If you are on a limited data plan, this is a great way to keep your usage in check, or it can be useful if you need to stream many videos at once. But usually this isn't necessary - and the plan is unlimited data - so there's no need to conserve. TIP: A good way to check if you are impacted by Stream Saver is to compare speed tests using Fast.com and Speedtest.net. Fast.com is run by Netflix and specifically tests video streaming performance. If your data rate is slow on Fast.com but fast on Speedtest.net, odds are good that your video streaming is being throttled by Stream Saver. Log in to your myAT&T dashboard or use the AT&T App. Go enjoy your favorite show or movie in glorious HD! TIP: AT&T enables the Stream Saver feature by default. But once you manually turn it off, it should stay off. However, we do occasionally get reports that Stream Saver somehow turns itself back on. So if you notice low-resolution streaming, it doesn't hurt to check to make sure the feature is still actually turned off. Here is an example of the DNS settings that need to be changed on a Pepwave Surf SOHO router to enable USB tethering with a Mobley. There is a hidden USB port on the side of the Mobley, and we have learned that you can use this to USB tether a Mobley to a router such as a WiFiRanger or Pepwave Surf SOHO. The key to making this work is manually configuring the router to use an alternative DNS provider. Google's free DNS server (8.8.8.8 and 8.8.4.4) works great - and we show you how to configure this in the video below.There is a hidden USB port on the side of the Mobley, and we have learned that you can use this to USB tether a Mobley to a router such as a WiFiRanger or Pepwave Surf SOHO. Note that some routers do not let you override the DNS server settings. For example, the Pepwave Surf On-The-Go can not easily USB tether via a Mobley. 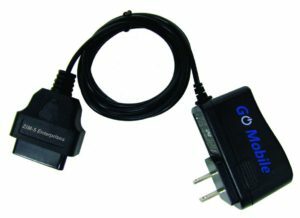 TIP: The Mobley still needs to be plugged into an OBD-2 port for power while USB tethering. The USB port on the Mobley is used for data only, not for power. The "Mobley Plan" is a unicorn amongst a field of raggedy bay ponies in the world of mobile internet. For those who jumped on purchasing this option while it was available in 2017, or again in 2019 - the Mobley Plan provided truly unlimited AT&T based data, hindered only by network management at 22GB and roaming restrictions. And while the Mobley device itself - which the $20 Connected Card Unlimited plan is paired with - is pretty limited in its function, enterprising nomads have figured out ways to make it work for their needs, or circumvented the limitations by using the plan in a better device. The plan is not currently available to new customers - but those who got the plan when it was available and have kept their account current are grandfathered.